I'm implementing my physics engine for my 3D game. 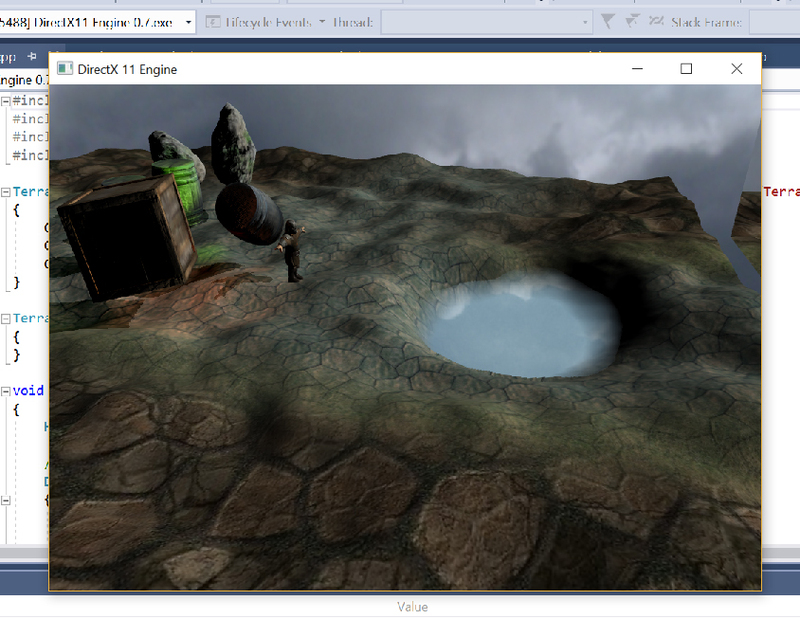 So far I've been able to implement collision detection between OBB, spheres and planes. The engine generate contacts and resolve them with an iterative impulse-based approach. The result is this (so far). I don't know how to do it. I need to detect collisions and generate contact data (contact point, contact normal and interpenetration to feed my existing engine). I know I can't use a SAT because the terrain in not convex. What about ad hoc code for boxes and spheres? or is there a general approach? I narrowed down my problem to detecting (and resolving) collisions between a simple convex collidable (sphere/OBB) and triangles (always convex). Since the terrain is stored as an height map I can easily select a subset of triangles to run the algorithm against. I can use the SAT to detect interpenetrations. But what about collision response? How can I generate the necessary contact data (collision point and collision normal) to resolve the collision? Make your terrain out of small manageable chunks. Organise each of them into triangles. When you load your terrain meshes, generate an AABB and triangle set from the the vertex data. The AABB is for your broadphase, and the triangle set is for your narrow phase. Once a possible collision is detected, you then perform an OBB/triangle, or sphere/triangle collision check. You can use any narrow phase algorithm you wish at that stage. This is by no means the most optimal solution, but it's one possible workable solution. Not the answer you're looking for? Browse other questions tagged collision-detection directx11 collision-resolution physics-engine bounding-boxes or ask your own question.